A pack of three delightfully presented pates from Toledo in Spain. 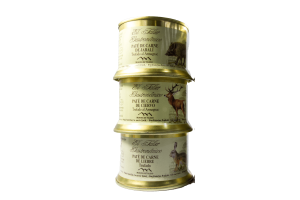 There is a Pheasant pate with truffle and Port, a Partridge pate with Port and a Duck pate with Armagnac. Spread a little luxury on your crackers or toast with these gourmet pates! Each comes in a decorative ring-pull tin, they make a thoughtful gift for any food lover. INGREDIENTS: Pheasant: pheasant meat (25%), chicken meat, chicken liver, duck fat, lean pork, pork fat, milk, egg, truffle (2%), Port wine (2%), salt, white pepper, preservative (E250). 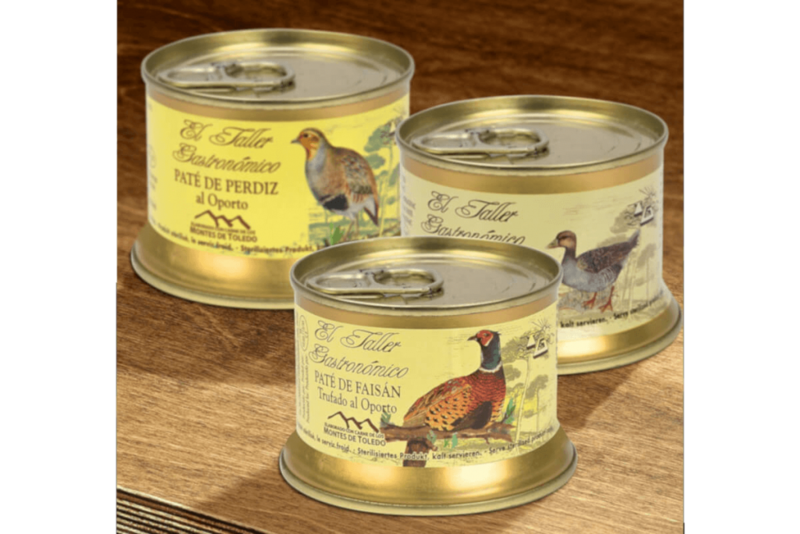 Partridge: partridge meat (25%), chicken meat, chicken liver, duck fat, pig fat, stock, eggs, milk, port wine, salt, white pepper, preservative (E250). Duck: Mallard duck meat (25%), duck liver, duck fat, lean pork, pork fat, milk, egg, armagnac (1%), salt, white pepper, preservative (E250). STORAGE: Keep in a cool, dry place. Once opened keep refrigerated.